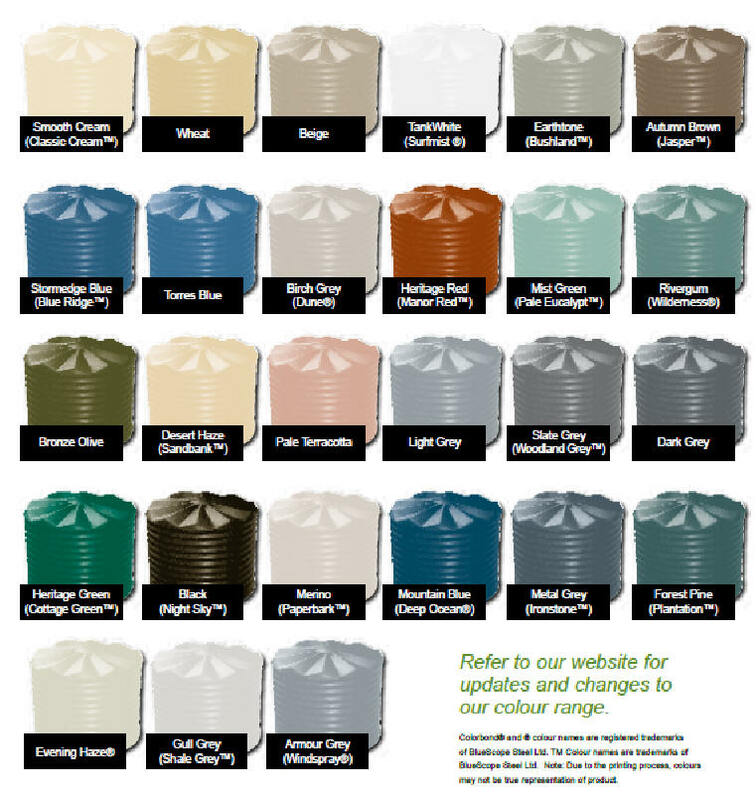 Sample pictures below, or click here to open the colour reference chart. Note; Not all tank styles are available in all colours. Please consult with our staff before ordering. COLORBOND® and ®colour names are registered trademarks of BlueScope Steel Limited. ™colour names are trademarks of BlueScope Steel Limited. Note: Colours are an indication only, shade and colour variances may occur due to individual computer differences.